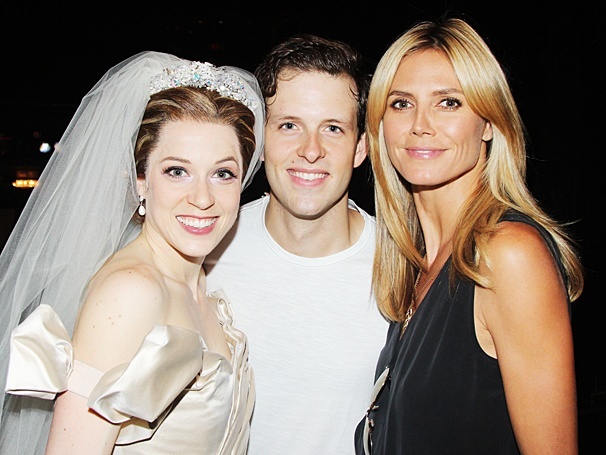 Cinderella co-stars Paige Faure (Ella) and Joe Carroll (Prince Topher) with Project Runway host and model Heidi Klum. Heidi Klum of TV’s Project Runway knows good fashion when she sees it—and on July 12, she was dazzled by the Tony-winning sparkling gowns by costume designer William Ivey Long in Cinderella on Broadway! Click to see her visit to the Broadway Theatre.